IF pop psychology is to be believed, there comes a point in many people’s lives when the need to finally succumb to buying a mini-MPV overwhelms them and they duly sign on the dotted line, buying in to a big box on wheels and selling out a life of independence and youth. I’ve spoken to plenty of people who have endured this middle-aged metamorphosis, and it appears to be not a butterfly that emerges from their new cocoon-shaped car. It’s a harassed parent with burdens and big bills. So SEAT would like its new Altea to be seen as some sort of halfway house for those who find the transition too painful to bear in one fell swoop. It’s a kind of nicotine patch for drivers. It looks like an MPV – albeit a rather swanky one – but actually has about as much practicality as a decently sorted lower-medium hatch. SEAT has given it the moniker of ‘multi-sports vehicle’ but that’s a bit like calling a spade an ‘activity load blade’. So in the interests of calling a spade a spade, the Altea is a mini-MPV – and by far the best-looking one on the market. We tested the 1.9 TDI engine with 105bhp and, as it’s an engine that gets everywhere, there are no surprises. What you get is a slightly coarse unit with strong performance, as usual for a Volkswagen Group car, alongside other trademark features such as electro-mechanical power steering that renders the steering easy but devoid of feel and over-servoed brakes. The Altea drives well and would certainly give the Ford Focus C-MAX a run for its money. It feels positive and well set-up – the ride is on the firm side without being uncomfortable and SEAT has done a good job of containing body roll. Internally, the Altea’s posture has many of the usual MPV attributes without real benefits. That means the seating position is high and comfortable and there’s plenty of typically useless headroom. Pillars each side of the windscreen obstruct the view, as with most MPVs, but where are all the useful storage areas that buyers of MPVs like? The quality inside is pretty good though and the dash’s various swoops and textures do a good job of filling the blank plastic desert that usually dominates the front of cars of these proportions. The Stylance model featured here, silly name apart, has plenty of kit for its price, with climate and cruise control, CD player and alloy wheels. The fact that the seats in the back only fold down and don’t come out takes away some of the advantages a car of this size should have. There isn’t even that much room in the back. With the seats down, there are 1,320 litres of space, which is a similar volume to a lifestyle estate like the Audi A4 or BMW 3-series, but in many ways the statistics are misleading. This is packed to the rafters space, but unless you taking a child to university, transporting a load of hedge cuttings to the dump or transporting a particularly large number of bean bags somewhere, how often does 50% of that volume get used? In the end, the Altea is neither here nor there, which could cause some prospective buyers problems. But like many consumer products in life, such as reality TV contestants, mobile phones and high-heeled shoes, its good looks should overcome many of its practical shortcomings. The Altea is the cheapest here, even though the others are all bottom of their respective ranges – and it’s easily the best specced. 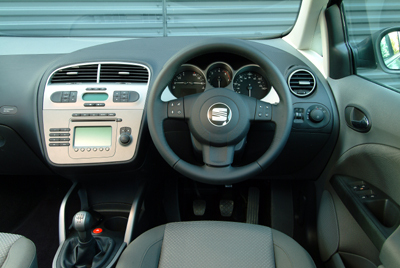 It has cruise and climate control, curtain airbags, alloy wheels and a CD player. The older two, the Zafira and Picasso, don’t come with curtain airbags, while the C-MAX is the second best for kit. Bear in mind that the high volumes of Fords, Citroens and Vauxhalls will result in significant discounts. And of course, the Zafira has seven seats. As you would expect for a sector dependent on value-for-money and buttoned-down costs, all four of these mini-MPVs are extremely close when it comes to servicing, maintenance and repair. Over the 60,000-mile period, the Citroen comes out best – just – at £1,224, while the Altea is the most expensive at £1,422. The other two cars sit in the middle, but with a difference of less than £200 between all four, SMR costs will not prove decisive. The Zafira is still using the old diesel engine, and it shows. A combined figure of 44.8 is not competitive with the latest generation of equally-powerful engines and it translates to a cost of more than £5,500 over 60,000 miles. Seeing they share the same engine, it’s not surprising the Picasso and C-MAX are level, at 7.14ppm or 57.6mpg. That equates to a £4,300 fuel bill – quite a saving over the Vauxhall. The Altea manages a respectable 8.00ppm, or 51.4mpg. A combination of a low front end price, being a new car and selling in lower volumes – the Picasso and Zafira have been doing a staggering 35-40,000 units a year – than the other three ensures the Altea wins on depreciation. It would lose £8,800 over three years/60,000 miles. The Picasso and Zafira have seen prices drop recently as three-year-old cars have started to flood the market so lose £10,300 and £9,800 respectively. The C-MAX sheds £9,400. By virtue of coming second in all three areas, the C-MAX is the cheapest for wholelife costs at just under £15,000. The Altea is only just behind though and would cost about £30 more. The Picasso and Zafira are starting to show their age after three or four years of dedicated service, although the Vauxhall would have done considerably better if it had a new generation diesel. The old unit is a significant handicap, while the Picasso’s depreciation is its nemesis. All these cars are Euro III-compliant, although there is a Euro IV version of the C-MAX which is £300 more expensive. Why isn’t the Altea Euro IV from launch? Of the cars here, though, the Altea with its low P11d price is the cheapest and would cost a 22% taxpayer £49 a month. The C-MAX is close behind on £51, while the Picasso would cost £52. The Zafira is the most expensive as its emissions are high for this type of car, with a monthly tax bill of £64. If an employee wants seven seats, the Zafira is an easy winner here. But the Vauxhall is starting to show its age, as is the Picasso, which struggles to hold its value. In the end, it comes down to a straight fight between the C-MAX and the Altea. 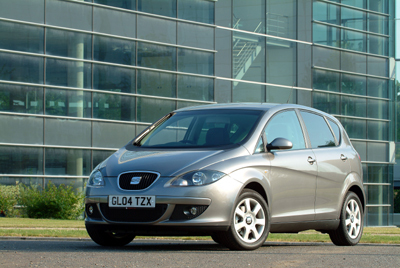 They are similar cars – driver-focused and less practical, but on looks and kit the Altea just sneaks it.